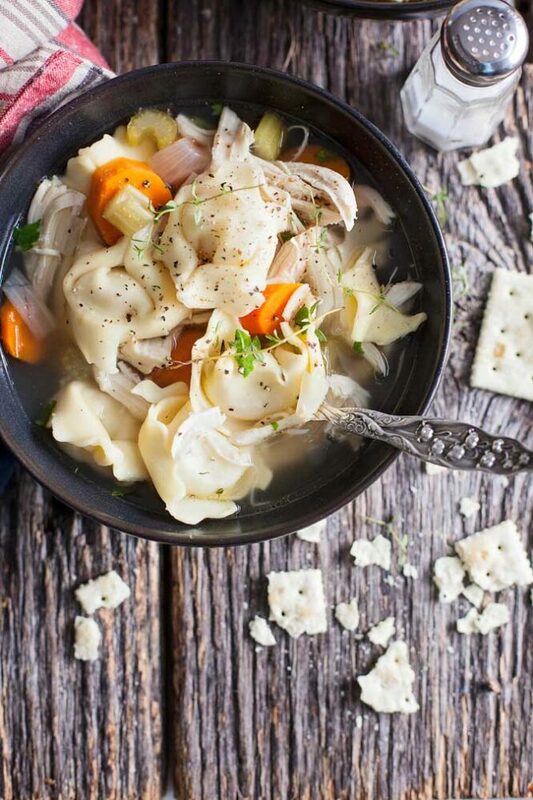 Hearty and filling, slow cooker chicken tortellini soup feels a little more sturdy and can handle any of your favorite vegetables and flavors–it’s true comfort! Busy days–okay–years. They call for your best tactics to get a dinner on the table that’s healthy and filling. Your slow cooker is the way you get ‘er done. I know it. And while you may have a handful of slow cooker barbecue recipes or toss in chili every once in awhile, it’s time to rev up your game. 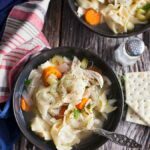 Slow cooker chicken tortellini soup is one of those “throw in anything you have” sort of soups and it will pretty much work. 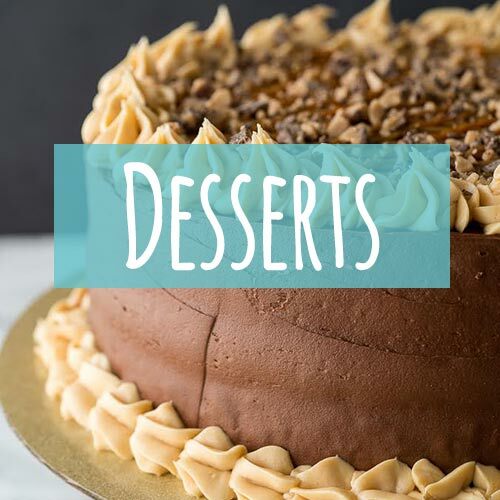 That’s the only kind of recipe I like on my own blog–The Country Contessa–and you need them too. I’ll never steer you wrong baby. 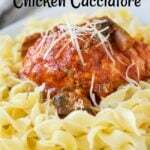 And if you still want yours with the classic egg noodles, you can get my recipe here. Any sturdy vegetables like cubed potatoes, butternut squash (yes! ), turnips…whatever you like would work in here. Avoid the squishy things like zucchini or eggplant. They’ll die a sad little death after hours in the slow cooker. As for the chicken, our house is a white meat only sort of gig, so we do bone-in, skin-on breasts. You can do bone-in, skin-on thighs if you’d prefer, but just make sure you have the bones there somewhere. You need them for the flavor and you can skim off any fat you don’t want once the dish is cooked. 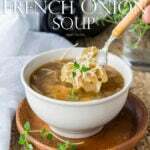 I think a dab of chicken bouillon really boosts the richness of the dish. If you want to add one, be careful about how much extra salt you add. You can overdo it easily. I love Better than Bouillon Chicken paste–it’s never too salty and adds great richness. You can find it in a jar in your soup aisle. And what about the tortellini? I used the small dry ones you find in the pasta aisle in a bag. The fresh ones you get in the refrigerator case would work, but they cook SO fast. You’ll only want to add them in the last 10 minutes of cook time. I love fresh herbs in my soup, but add them in the last 30 minutes of cooking. They simply can’t hang on for a long cook time but the freshness they add is really nice. Try not to skip them. 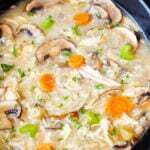 You may also like this Slow Cooker Chicken and Wild Rice Soup or this Meat Lover’s Tortellini Skillet! 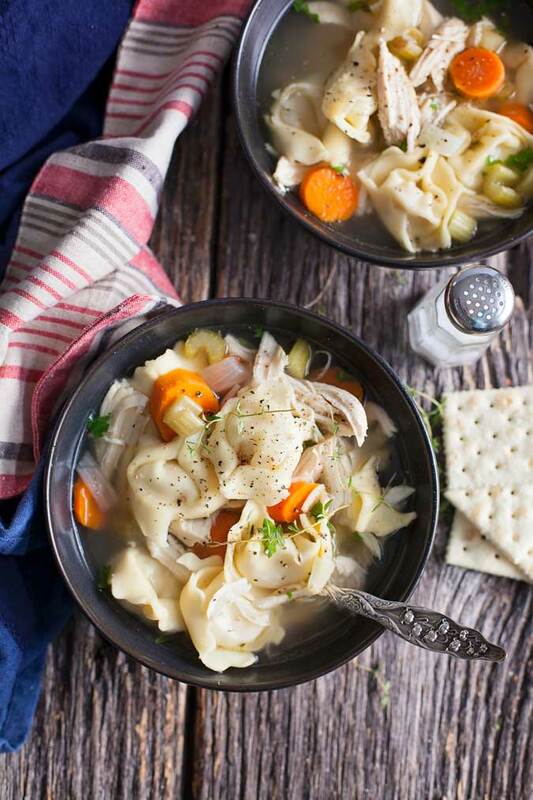 Can I freeze my leftover crock pot soup? Yes, but pay attention here. If you want to freeze your soup I find that pasta does not freeze well. It goes mushy. If you think you’ve made more than you’ll be able to eat, take out part of it before you add the tortellini. Freeze flat in zip lock bags and then when you want some, thaw it or put the frozen block of soup in a pot, bring it to a simmer and add your pasta then. Everyone will be so much happier. 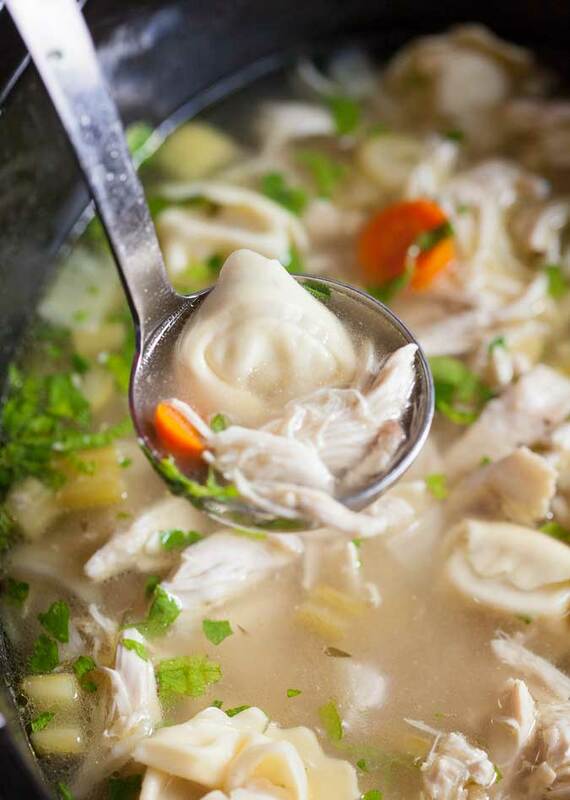 Slow cooker chicken tortellini soup is a hit at our house! Easy to make and hearty for cold, busy nights. In the crock of your slow cooker add the chicken, celery, carrots, onions, bay leaves, salt, pepper, water and bullion cubes if using them. Cover and cook on low 7 hours or high 4 hours. After that time, shred the chicken with two forks then add the tortellini, thyme and parsley and cook until the tortellini are tender, about 20 minutes. Serve warm with rolls or crackers. Freeze soup without pasta so it doesn’t get mushy and add it when reheating. 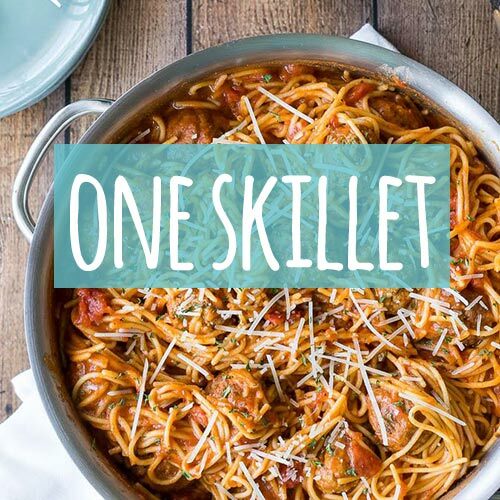 Rachel Ballard is a Kentucky farmer who loves to share easy to make comfort food for busy cooks. She's also been known to deliver calves in her socks and chase wild animals with her car. 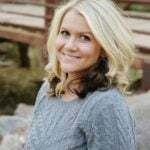 You can find more of her recipes, southern sass and wild farm adventures on her blog, The Country Contessa.